Baton Rouge -- "Authentic Louisiana at every turn"
Since European settlement, Baton Rouge has been governed by France, Britain, Spain, Louisiana, the Florida Republic, the Confederate States, and the United States. 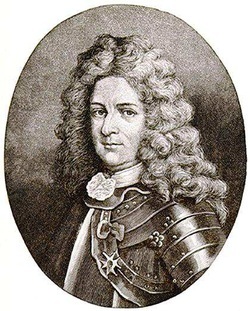 In 1755, when French-speaking settlers of Acadia in Canada's Maritime were driven into exile by British forces, many took up residence in rural Louisiana. Popularly known as Cajuns, the descendants of the Acadians maintained a separate culture that immeasurably enriched the Baton Rouge area. 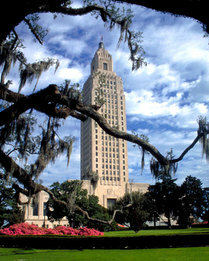 Incorporated in 1817, Baton Rouge became Louisiana's state capital in 1849. Metropolitan Baton Rouge is one of the fastest growing metropolitan areas in the U.S. (under 1 million), with 602,894 in 2000 and 802,484 people as of the 2010 census. Some estimates indicate that the Baton Rouge metro area could reach 900,000 residents as soon as 2013. 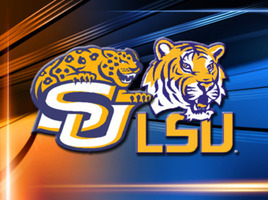 The seat of government in the state and home to Southern Louisiana University and Louisiana State University, Baton Rouge is center for politics, higher learning. sports, and recreation.